When drivers fail to practice safe driving, pedestrians are at risk. Pedestrians can be injured while crossing the street, traveling on the side of the road, parking lots and even in crosswalks. Pedestrians are the most vulnerable travelers and can be injured by cars, trucks, bicyclists, buses and other vehicles. Pedestrian accidents can occur when drivers speed, fail to stay within their lanes, talk on cell phones while driving or text while driving. Pedestrians have the strongest protection in crosswalks and intersections with traffic signals which indicate when pedestrians can travel across the street. There are also greater protections in school zones, where there are crosswalks, crossing guards during school hours and drivers must travel at 20 mph. 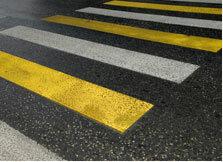 Pedestrian accidents can end in death or leave victims seriously injured. These injuries may require months of medical treatment. This places a hardship on a family, especially when the injured individual financially supports the household. In addition to helping the person recover, there are heavy concerns and anxiety over who will pay the bills. You should speak to an experienced Massachusetts pedestrian accident lawyer to learn your rights for seeking compensation for lost wages, pain and suffering and other damages. The Greater Boston pedestrian accident lawyers at Bellotti Law Group, P.C. have served Massachusetts for over 20 years. We have offices in Cambridge and Quincy and serve Boston, Braintree, the South Shore and all of Massachusetts. At Bellotti Law Group, clients turn their concerns over to our Quincy and Cambridge pedestrian accident attorneys. We address the legal and financial details while you and your family focus on recovery and moving on with your lives. We pride ourselves in partnering closely with clients and working to understand their individual concerns to help obtain the best solution. We are accessible throughout your case and advocate for you at every turn. Contact us today at 617-225-2100. You can also use our online form and we will promptly respond. Boston Public Health Commission Finds High Risk for Pedestrian Accidents, Offers Safety Tips Recently, the Boston Public Health Commission's "Walk This Way" study found that there are around 2 million pedestrians walking around Boston daily.